If you have news that you would like distributed via HUPO's website, newsletter, or social media channels, please email office(at)hupo.org. The HPP aims to hold participants and authors to rigorous standards for publication and dissemination of results. 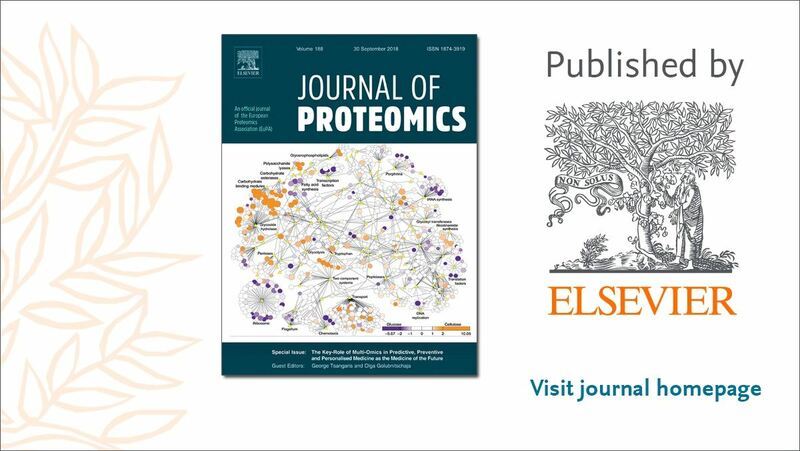 All data are to be submitted to a ProteomeXchange public data repository, statistical analyses are to be performed to a high standard, and extraordinary claims of detection of “missing proteins” or novel coding elements require extraordinary evidence. The first set of guidelines was approved in 2012. Version 2.0.1 of the guidelines was approved in December 1, 2015. The newest guidelines should be applied to all contributions. The current version of HPP Data Interpretation Guidelines is version 2.0.1. Please apply these guidelines to all new HPP contributions. If errors are detected or slight amendments are made, the updated guidelines will be posted here. Therefore, please check back in this location for a final version before submitting your manuscript. A filled out checklist must be submitted with the manuscript for inspection by the editors and reviewers. Any non-adherence to the guidelines must be explained in the space provided on the form. 2015 HPP Data Interpretation Guidelines version 2.0.1 [PDF]. Important Note: If your manuscript is being submitted to JPR for the HPP special issue, the JPR guidelines also apply. In cases where the JPR guidelines and these HPP guidelines conflict, the HPP guidelines are more stringent in all cases and take precedence over the JPR guidelines. See the Current JPR Guidelines. 2012 Guidelines (deprecated): The 2012 HPP Guidelines were in effect for 3 years and are still mentioned here, but are now considered obsolete. Please apply the current guidelines to efforts for new contributions. Version 1.0 of the HPP Guidelines, now obsolete. The Human Protein Atlas today launched a new version of the database. The major new additions to version 14 are a new Mouse Brain Atlas and a new approach for antibody validation. The Human Protein Atlas, a major multinational research project supported by the Knut and Alice Wallenberg Foundation, today launched a new version of the database. Since the release of version 13 at end of 2014, new data has been added and the atlas now holds data on more than 25 000 antibodies, covering over 17 000 of the human genes (approximately 86% of the human genome). Focus for this release has been to improve validation of the antibodies used to map the human proteome and the inclusion a new atlas; the Mouse Brain Atlas, created by the Fluorescence Tissue Profiling facility at Science for Life Laboratory (SciLifeLab) in Stockholm. The current version of the human protein atlas holds a comprehensive map of protein expression patterns in normal human tissues down to the single cell level. To assure the correct interpretation of the data, the RNA-seq data from transcriptomics has been evaluated against the gene/protein characterization data retrieved from antibody-based methods; antibody reliability, sub-optimal experimental procedures, and potential cross-reactivity has been assessed. The result of the extensive evaluation is summarized in a data reliability description. Currently, almost 7500 genes have been updated with this knowledge-based annotation. In addition to this, co-localization of a fluorescent protein with the target protein has been introduced for antibody characterization, and complements the previously introduced gene silencing (siRNA) technique. In total, 104 genes have been analyzed using co-localization, 256 genes have been silenced and analyzed using immunocytochemistry, and 190 genes have been silenced and analyzed using western blot. Many of the mouse proteins have extensive homology with the human counterpart and this forms the basis for using the mouse brain as a model for the corresponding human brain to explore the expression and distribution of proteins in the various regions and cells of the brain. The new Mouse Brain Atlas, introduced in this version, includes additional brain regions and has additional information on cellular and sub cellular distribution of proteins in the brain. Currently, 88 genes and 129 brain regions are covered in the Mouse Brain Atlas. “We believe this antibody-based data set is a valuable complement to our own human protein atlas and other international efforts that map the building-blocks of the brain, such as the Allen Brain Atlas and the Gensat effort.” says Dr Jan Mulder, head of the Mouse Brain Atlas effort at SciLifeLab. The atlas is interactive, with the possibility of zooming in from a full brain section to single cells in a specific region of the brain. The Human Protein Atlas project, funded by the Knut and Alice Wallenberg Foundation, has been set up to allow for a systematic exploration of the human proteome using antibody-based proteomics. This is accomplished by combining high-throughput generation of affinity-purified antibodies with protein profiling in a multitude of tissues and cells assembled in tissue microarrays. Confocal microscopy analysis using human cell lines is performed for more detailed protein localization. 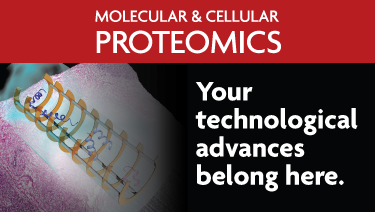 The program hosts the Human Protein Atlas portal with expression profiles of human proteins in tissues and cells. The main sites are located at AlbaNova and SciLifeLab, KTH – Royal Institute of Technology, Stockholm, Sweden, and the Rudbeck Laboratory, Uppsala University, Uppsala, Sweden. For more information on the Human Protein Atlas, visit our website at www.proteinatlas.org. Dysregulation of cellular signaling based on protein phosphorylation is closely linked to pathogenesis of human diseases and therapeutic strategies to control the phospho-signaling have been accepted to develop molecular-targeting drugs for cancer. 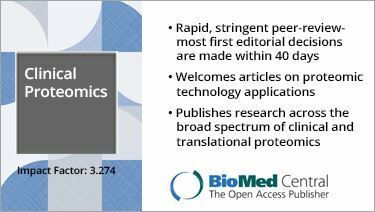 MS-based quantitative phosphoproteomic approaches have been widely used to quantify over 10,000 phosphorylation sites by utilizing strong cation exchange chromatography, hydrophilic interaction chromatography or basic-pH reversed-phase chromatography to fractionate the complex samples. However, such extensive fractionation approaches require longer LC-MS measurement time as well as tedious pretreatment steps, resulting in reduced throughput and low reproducibility. Besides, these approaches cannot be applied to primary cells of rare tissues or clinical biopsy samples due to the limited starting materials. To address these issues, Humphrey et al. (from Matthias Mann’s group) at Max Planck Institute of Biochemistry have developed a streamlined phosphoproteomics workflow called “EasyPhos” which has been designed as a high throughput and simplified workflow to study time-resolved phosphorylation alteration in vivo without any pre-fractionation strategy. They used trifluoroethanol for the digestion buffer which allows bypassing the peptide desalting step before phosphopeptide enrichment. This protocol can reduce the potential sample loss during the desalting process implemented in the conventional protocols. Besides, this simplified procedure can be expanded to a 96-well plate format to increase the throughput of phosphopeptide enrichment. The combination of this workflow with Q Exactive benchtop Orbitrap mass spectrometer allows monitoring of more than 10,000 phosphorylation sites from a mouse cell line by single-shot LC-MS/MS analysis with 2hr gradient. The applicability of this parallelized EasyPhos workflow has been demonstrated on the analysis of liver phosphoproteomes at different time points (early and intermediate) in fasted mice under insulin exposure. Up to 31,605 phosphopeptides (25,507 phosphorylation sites belong to class 1) from 6,138 phosphoproteins were identified from 91 biologically distinct liver tissues by the high throughput 96-well EasyPhos assay. Importantly, at least six biological replicate analyses (separate mice) per sample for each time point provide a highly statistical power to illustrate time-resolved maps of insulin signaling. Moreover, these dynamics datasets illuminate not only the insulin-mediated signaling network but also the signaling cascade from cell surface to the nucleus within 1 min in vivo. This rapid and high throughput EasyPhos workflow will facilitate to accumulate the knowledges of cellular signaling dynamics under physiological or pathological regulation. This study was reported in the journal of Nature Biotechnology on August 17, 2015. The effort to catalogue proteins goes deeper in a push to make genetics research deliver practical benefits. 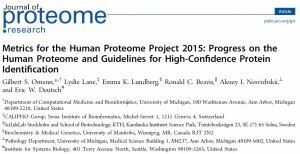 For more background, read the Metrics for the Human Proteome Project 2015. Lipids are a class of hydrocarbon-containing natural molecules; important examples include some vitamins (A, D, E), hormones (estrogen, testosterone), neurotransmitters (endocannabinoids) and components of fat (triglycerides, cholesterol). Their biological functions to regulate cell physiology and disease are often mediated through interactions with proteins. Despite the fact that a substantial number of drug targets are lipid-binding proteins, it has been challenging to establish a global portrait of how lipids interact with proteins in cells. Benjamin F. Cravatt’s team at The Scripps Research Institute (TSRI) has devised a powerful chemical proteomic method to map the human lipid-binding proteome. 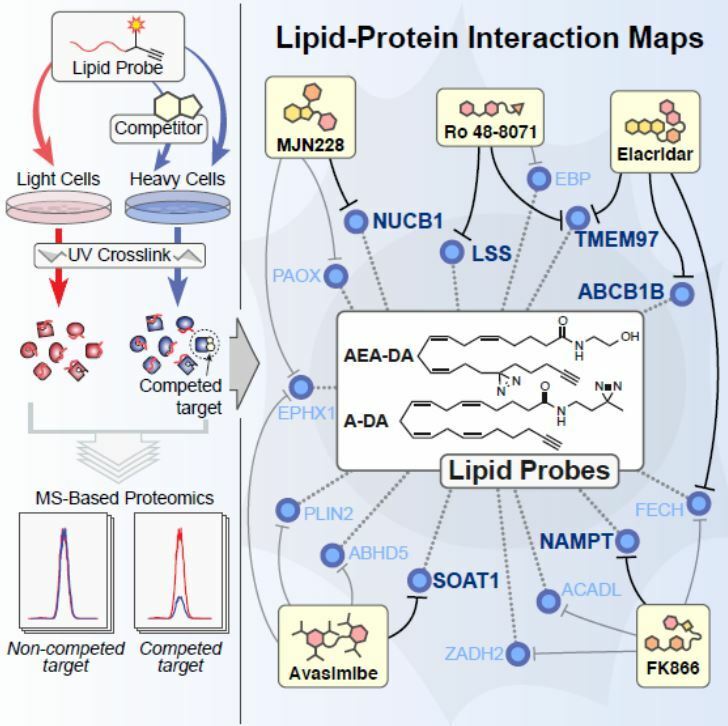 In this study, Niphakis and colleagues described a set of fatty acid–based chemical probes combined with quantitative mass spectrometry to provide the first global portrait of lipid-protein interactions in human cells. Their results revealed a surprisingly large number of lipid-protein interactions from diverse functional classes, including some interactions which are already targeted by existing drugs and, most importantly, many novel lipid-binding proteins. The probes can also be used to identify the targets of drugs that disrupt lipid-protein interactions in cells, pointing to the broad potential of lipid-binding proteins for ligand/drug development. This study was reported in the journal of Cell on June 18, 2015.